What Is A Managed Service Provider (MSP)? - Wright Business Tech. Services that are often outsourced are mission-critical support services that are crucial for the daily operations of a company but do not constitute it’s core services. Examples of this include legal services, HR services, hiring and staffing, and, of course, IT services. While businesses could theoretically do many of these tasks in-house, the costs of hiring in-house staff often do not justify the potential value provided. This is particularly true for small and mid-market businesses who often can't justify the expenses involved with hiring their own internal support departments. For these small and mid-sized companies, outsourcing some or all of their support and operational functions can make a great deal of financial sense. For large enterprises a managed IT service solution can also help manage costs. Managed services are often compared to a subscription service wherein customers pay the managed services provider a monthly or annual fee for unlimited services. In comparison, other popular IT outsourcing models, such as fix-break and on-demand outsourcing, only provide limited services for a one-time fee or charge a fee for every incident requiring their services. Wright Business Technologies, for example, provides managed IT services. For a low monthly subscription fee, Wright Business Technologies will proactively manage and care for all your IT needs no matter how extensive. The obvious benefit of a transparent subscription service is that an IT service provider is not incentivized to push additional service transactions. Instead, managed IT service providers proactively manage, monitor, and maintain crucial IT infrastructure to prevent such IT issues from cropping up in the first place. An example of a fix-break model would be an IT repair shop. Repair shops will charge a one-time, lump sum fee to solve your immediate problem. The limited scope of such one-time fix-break services is often a problem for businesses with a need to be operational 24/7 and not risk experiencing downtime that affects productivity. Also, fix-break service providers do not provide ongoing IT monitoring, management, and maintenance. On-demand outsourcing is a hybrid between managed services and a fix-break model. The management, monitoring, and maintenance of IT infrastructure and systems are outsourced to a third party. However, clients are billed per service transaction as in a fix-break service model. This can become quite expensive and with no guarantee when the problem can be addressed. POLL: Does your company plan to acquire Managed IT Services In 2019? Does your company plan to acquire Managed IT Services in 2019? Each model has its advantages and disadvantages, which we will explore in the following chapters; however, for a serious business looking to improve monthly outcomes and improve operations, a managed IT solution is usually the best choice. Many factors play into how a company seeking to outsource an IT solution should proceed. Company size, industry, and market segment are but a few of the variables that need to be taken into account prior to committing to a comprehensive IT strategy. Managed IT services are arranged and administered by a third-party company known as a Managed Service Provider (MSP). Wright Business Technologies, for example, is an IT MSP that operates under a managed IT services model. Wright Business Technologies is Houston's managed IT solution which monitors the IT infrastructure of a business, including some of a company’s most critical IT systems. 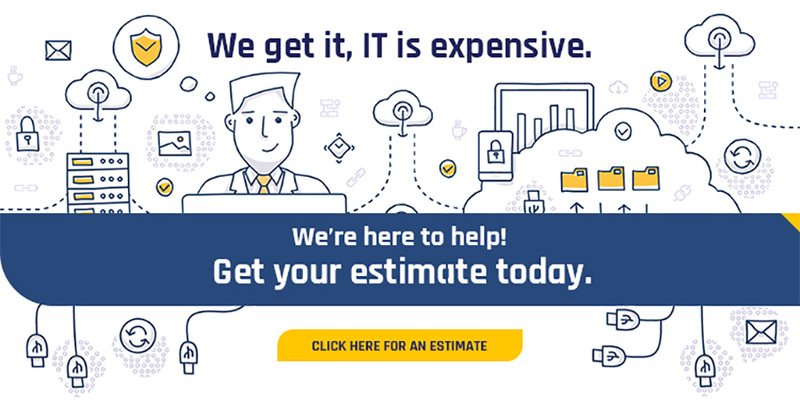 This service provides Houston area business owners with peace of mind knowing any IT problems that arise 24/7 are covered under a single transparent subscription fee. Just a low fixed monthly fee with no tiers, no hoops, and no hidden fees. More importantly, because Wright Business Technologies manages and monitors critical IT systems, it can proactively deal with issues often before they become mission critical. In 1983, George Strait made his first appearance at the Houston Livestock Show and Rodeo when the headlining star, Eddie Rabbitt, came down sick with the flu. Performing at that rodeo has since become a mainstay throughout his career, making more than twenty appearances at the Rodeo, and playing to a total of more than one million fans. Answer the BONUS QUESTION correctly on the SWEEPSTAKES entry form and earn an additional 30 bonus entries. The answer is found in the information above.